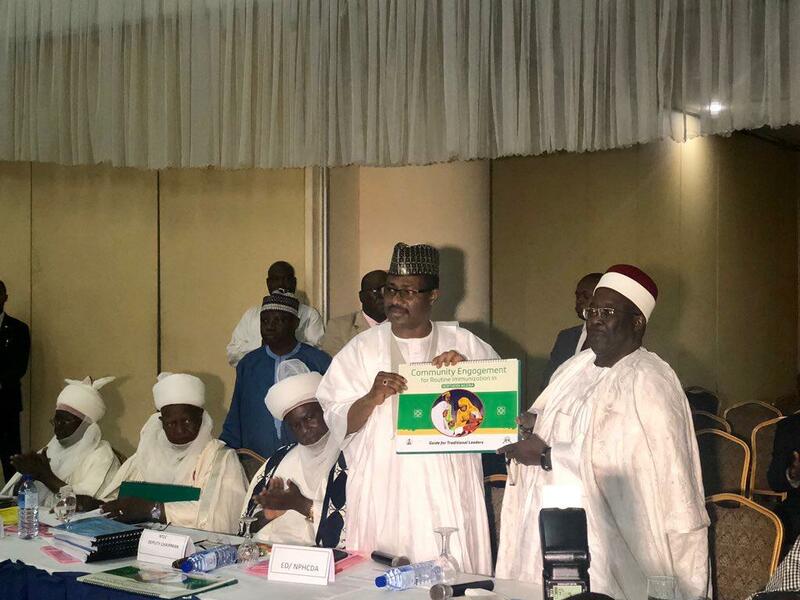 Abuja 21 March 2019 – In 2018, insecticide treated nets were distributed by well-meaning individuals in Jigawa and Katsina State. However, the nets were poorly distributed and it caused a lot of discontent in the two states. As a result, caregivers such as Aishatu Mani refused to take her four month old for immunizations. “I am not happy I didn’t get a mosquito net, for this reason, I will not take my child for vaccination,” she told the community health workers. Vaccine hesitancy is one of the major challenges facing the immunisation programme in Nigeria. In early 2018, social media rumours alluded that the Nigerian Government had stopped free immunizations. The Executive Director of the National Primary Healthcare Development Agency (NPHCDA), Dr Faisal Shuaib described the rumours as false and misleading. He assured members of the public and parents in particular that “Nigeria has adequate vaccines for immunization against vaccine preventable diseases emphasizing that immunization of all antigens remain free of charge to all parents and members of the public”. He also used the opportunity to reiterate that vaccines save lives. He further stated that all vaccines and health commodities used by the Agency for all public health programmes are pre-qualified by the World Health Organization (WHO) and certified as safe by the National Agency for Food, Drugs Administration and Control (NAFDAC). Tacking false information and resistance to vaccines. NPHCDA and its partners have also developed a ‘Demand creation package’, which uses community influencers such as Quranic teachers for mobilization and health camps to provide free health services. Through the Community Engagement Framework (CEF) developed by the NPHCDA, WHO and its partners works with traditional leaders in communities. This is implemented in stages. First is ‘Line Listing’, which involves recording and registration of all children, aged 0-12 months in the community. This is followed by ‘Reconciliation’, which ensures that the traditional leader visits a health facility or outreach session site to compare his line list with the child immunization register for identification of children not immunized. The final step or ‘Defaulter Tracking’ identifies children that did not attend immunization session, and refer them to the community health facility or outreach centre for immunization. From 2017 to 2019, a total of 3.2 million children have received routine vaccines across 9 states Nigeria through the partnership with community leaders. The NPHCDA with the support of WHO and other partners have planned to mobilise required resources to systematically roll out the Community Engagement Framework in the remaining 28 states including the Federal Capital Territory of Nigeria. The roll out plan will address state specific traditional architecture to ensure that the CEF is properly adopted to the traditional set ups for the purposes of acceptability and sustainability.